Baxter Chrysler Dodge Jeep Ram of Lincoln, Nebraska is here to shine a light on the wonders of leasing new Dodge cars, minivans, and SUVs. Curious as to how you can get an inexpensive monthly payment on the newest cars out there? Interested in getting behind the wheel of the newest models each year? An automotive lease might just be right for you. Give us a call or stop by in person to learn more about our fantastic Dodge leasing options in Lincoln, NE. Baxter Chrysler Dodge Jeep Ram of Lincoln is here to serve up the finest Dodge vehicles to the Lincoln, NE region. 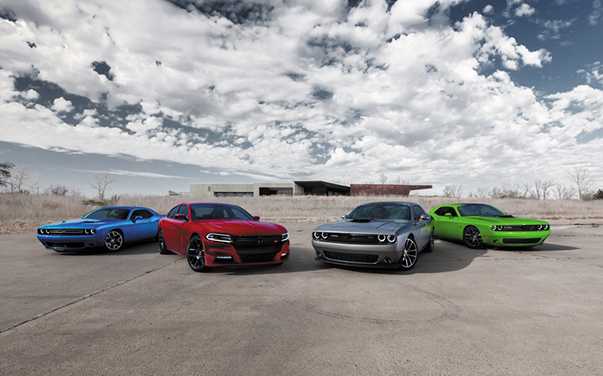 For those who crave style and speed, the classic Dodge Challenger or Dodge Charger are perfect for you. More of a family person? Test out the spacious interior of the Dodge Grand Caravan and the Dodge Journey SUV, a pair of vehicles prepared to get you from A to B in comfort, style, and safety. Lease with us and you'll have access to these vehicles and so many more, both new and sued. Schedule a test drive today by calling us up or stopping by Lincoln area dealership. We know financing a new vehicle can be confusing, which is why our team at Baxter Chrysler Dodge Jeep Ram of Lincoln is excited to help match you with a new or used lease option ideal for your lifestyle and goals. We'll work with you and your credit history to make it happen, along with securing a loan repayment option that won't just get you into your dream car, but will also keep you smiling long after you've left our lot. Discover more ways to save with us by giving our sales team a call today!